We welcome you to the "Greatest Show on Dirt"
What a great way to spend Canada Day! Every year, over the July 1st long weekend, Williams Lake, BC, rolls out the welcome mat! 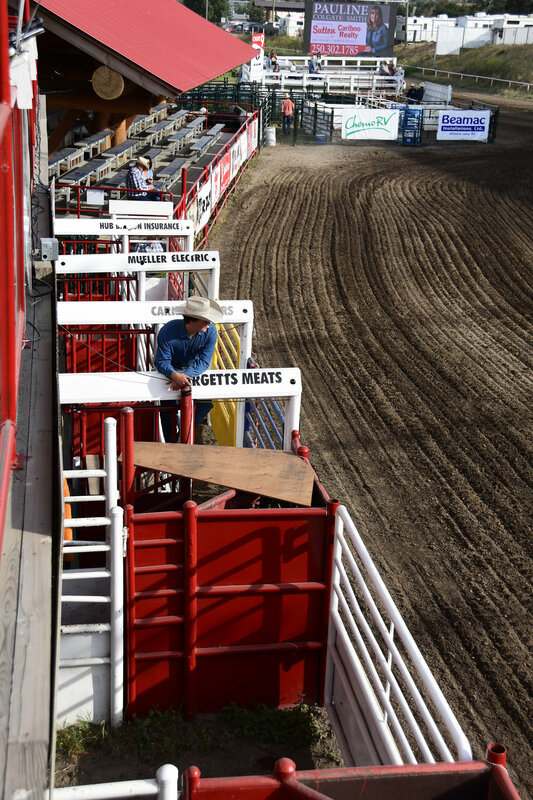 Visitors come from far and wide to enjoy several days of Canadian Professional Rodeo Association action at the World Famous Williams Lake Stampede.We are proud to host all the of the top cowboys – international competitors from Canada and the United States -join us for all the rodeo performances and catch all the action! Come and join the fun! 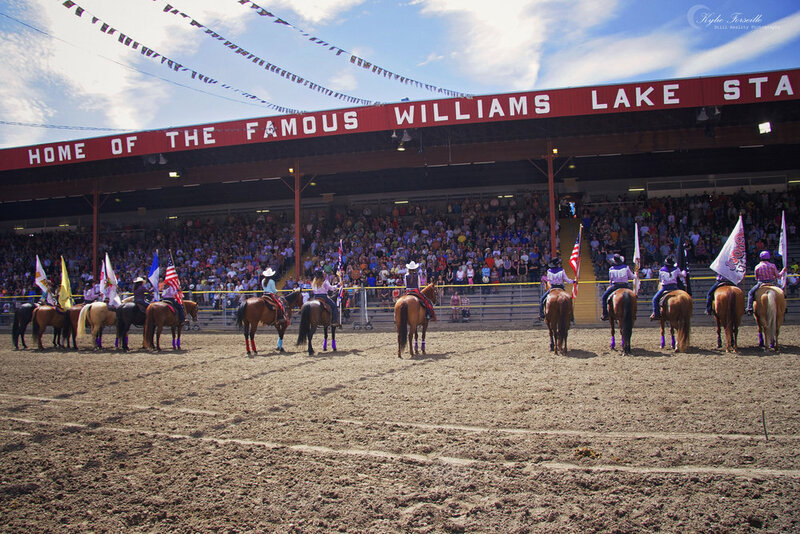 Experience an authentic and historic rodeo at the heart of a community family event – the World Famous Williams Lake Stampede! 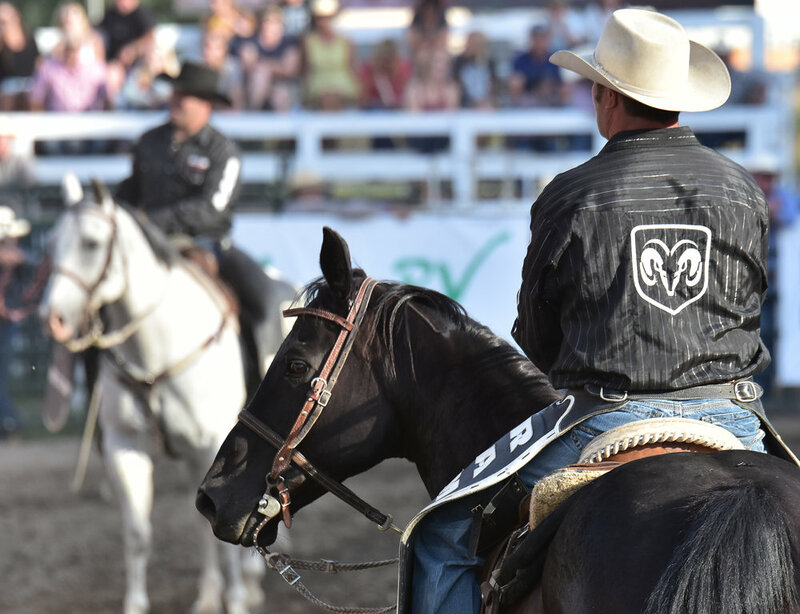 Williams Lake Stampede history is long and colourful. Williams Lake is located in the heart of British Columbia’s interior. It is the centre of a large service and trading area for a population of well over 50,000 people. It is the shopping and business centre for many in the ranching industry whose land and holdings spread in all directions from Williams Lake. 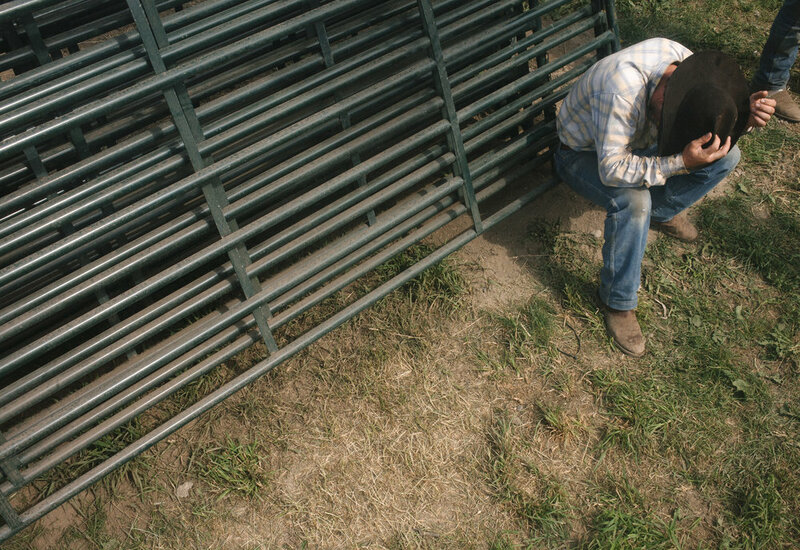 The stockyards in Williams Lake market the ranchers cattle from as far south as Clinton, as far north as Quesnel, as far west as Bella Coola and as far east as Horsefly. The town was just a spot on the map until the coming of the Pacific Great Eastern Railway in 1919. The coming of the railway coincided with the first real organized Williams Lake Stampede. 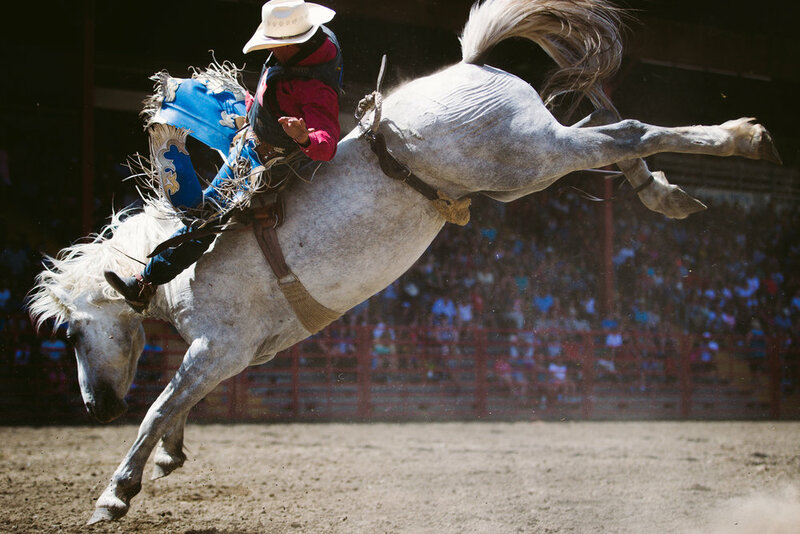 Today the rodeo is held on the same site as the 1st Annual production back in 1919 (the rodeo took a several year hiatus during the World Wars). 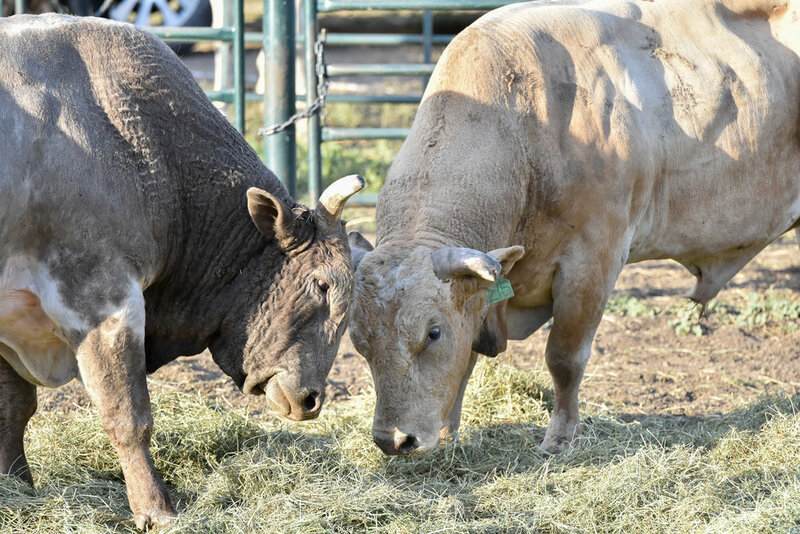 In the early days the cowboys were mostly local boys and girls who wanted a place to show off their cowboy talents, today’s rodeo is a big professional show with cowboys from all over Canada and the U.S. coming to compete. 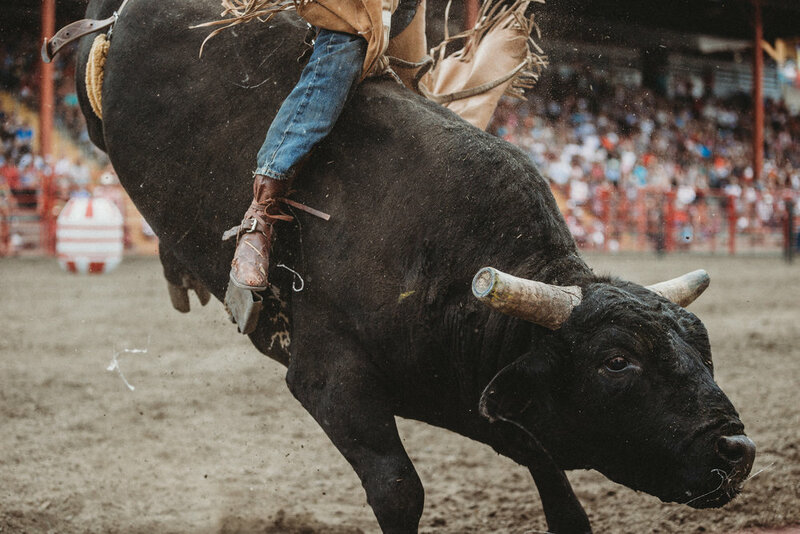 The original concept is maintained by a locals only competition called the Ranch Challenge where cowboys from area ranches compete against each other for the years bragging rights as “the best cowboys”.